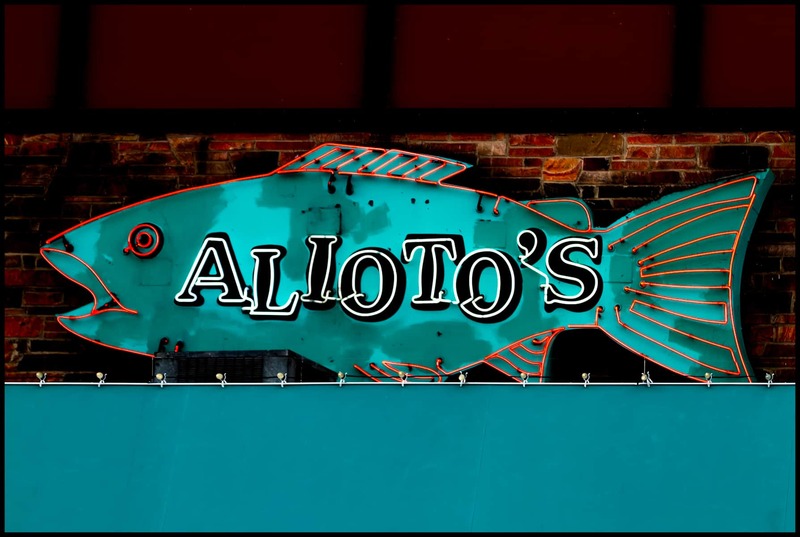 Welcome to Alioto’s Restaurant, a San Francisco landmark on Fisherman’s Wharf, serving its’ famous fresh Seafood and Sicilian family recipes for over 90 years. Now run by the fourth generation of the Alioto family, Alioto’s is San Francisco’s oldest family owned and run restaurant. 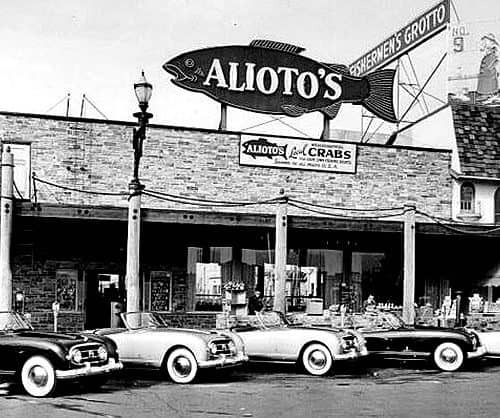 Alioto’s Sicilian Seafood on San Francisco’s Fisherman’s Wharf – More than 90 years of San Francisco history. In the beginning: In 1898, young Nunzio Alioto left his family’s small town of Sant’Elia in Sicily for the booming economy and richer fishing waters of San Francisco. By 1925 Nunzio began his fresh fish stall. Stall #8 sold lunchtime provisions to Italian laborers. Far from the tourist attraction, the wharf is today, it was then surrounded by an enormous lumber yard, train tracks, a union hall, and bustling wholesale fisheries. 1930s: Business grew steadily and by 1932, Nunzio Alioto constructed the first building on Fisherman’s Wharf by combining the fish stand with a seafood bar specializing in crab and shrimp cocktails and fresh cracked crab. Nunzio Alioto’s plans came to an abrupt halt in 1933 when he passed away. He was survived by his wife Rose and three children: Mario, Antoinette, and Frank. Left with no other means of support Rose took over the business, becoming the first woman to work on the Wharf. By 1938, she installed a kitchen and officially opened Alioto’s Restaurant. It was here that Rose was one of the first to create a shell-fish stew called Cioppino which became a San Francisco culinary legend and is still on Alioto’s menu today. A number of historical events contributed to Alioto’s phenomenal growth and the transformation of Fisherman’s Wharf into San Francisco’s most popular tourist destination. With the completion of both the Golden Gate and Bay Bridges in 1937, San Francisco was quickly becoming the urban center of Northern California. In 1939, The SF Exposition and World’s Fair brought tourists from around the world to the City. 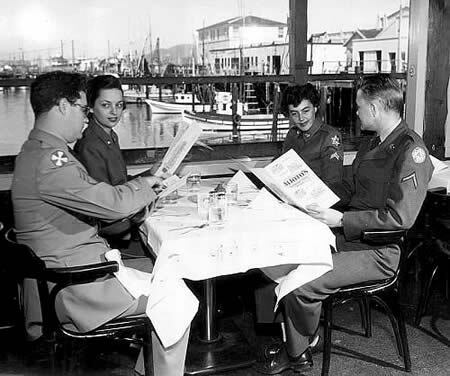 World War II: The restaurant flourished, yet it was not until the onset of WW II that its reputation became firmly established. 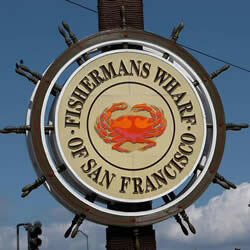 Fisherman’s Wharf became one of the Ports of Embarkation for sailors. Alioto’s kept busy serving fresh seafood and hearty clam chowder to servicemen and women – and word about Alioto’s delicious food quickly spread. The 50’s: The restaurant continued to expand as public demand grew for Alioto’s seafood dishes. By 1950, Rose enlarged her restaurant by purchasing her neighbor’s stall. On the joint property, she built a one-story building. Alioto’s Restaurant underwent a second major facelift in 1957, when a second story was added, making it the tallest building on the Wharf. A disastrous fire gutted Alioto’s Restaurant that same year. Undeterred, the family, led by Rose, rebuilt the restaurant from scratch on the same site. Fortunately, rescued from the devastating fire were two walls composed entirely of thousands of clam shells, saved from diners’ meals through the decades and they still stand today. Menu: Alioto’s unique menu offers distinctive Sicilian recipes handed down through the Alioto family. Also, you’ll find traditional seafood specialties of the Wharf, standards such as Dungeness crab prepared many ways and clam chowder. Freshest Seafood in San Francisco: Alioto’s has a full-time seafood buyers who purchase only the freshest and choicest cuts of fish. We feature petrale sole, halibut, salmon, swordfish, when available. 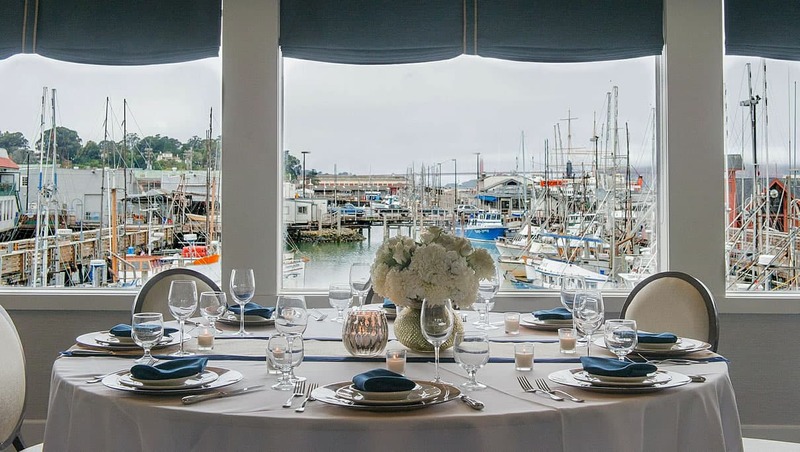 See the Family History: The Alioto family’s contribution to San Francisco’s Fisherman’s Wharf is commemorated with historical photos and news articles along the interior stairway and the Calamari Room – enjoy! Oh, and the view is also famous. Prices may vary and subject to change. 3 hours free parking from 6:00pm to 12:00am daily. 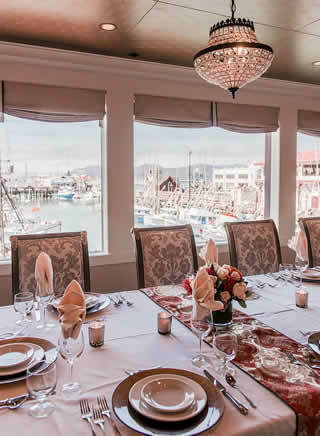 Alioto’s is ideal for your next group function from small wedding receptions and corporate events. The rooms can accommodate parties from 18 to 55 guests. The rooms were recently renovated, and have the same picturesque views of the San Francisco Golden Gate Bridge and fishing harbor. 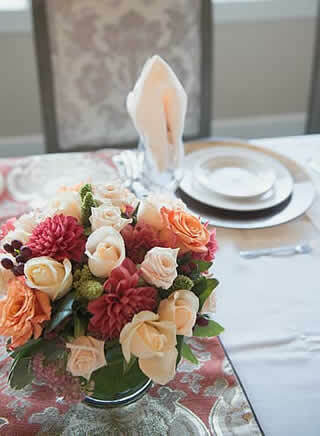 For more information regarding banquet bookings, please call 415.710-9659. Our team will create a customized menu for your event, and help with your equipment needs. Event reservations include three hours of free parking for you and your guests. Yes you can take public transportation from anywhere in the City and downtown hotels. For directions, go to 511.org. From downtown take the 30 Stockton to Fisherman’s Wharf.